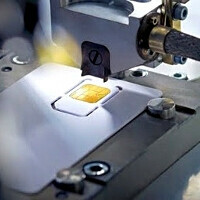 With both Nokia and RIM accusing Apple that it is trying to get unfair advantage by introducing proxy voters to the ETSI standardization body merely days before the final verdict, the nano-SIM standard vote got postponed. Apple offered to licence all of its tray-loading nano-SIM patents for free, in order to alleviate Nokia's concerns that it will start charging patent fees once its solution gets approved. Nokia said that this is a mockery with its own intelectual property rights, as it has a nano-SIM standard offering and related patents itself. Nokia has the most voting rights on the ETSI body, but Apple was registering proxy voters like its subsidiaries that comply with the voting requirements, and planted its own people posing as representatives from Bell, SK Telecom and KT. These are precisely the moves Nokia and RIM have been complaining about, and you can read the full text of RIM's letter below. Apple acting corruptly......sure not,is this possible?! I am not surprised Apple is doing this. Apple can't play fair or come up with something original like Microsoft or Android so it acts like a spoiled kid that plays dirty in order to get things. Apple didn't invent the tablet with the Ipad, Microsoft did. Apple copied so much from Android that it's basically a Windows version of Android. the only good thing Apple is good at is cheating, creating lawsuits, copyrighting and playing dirty. All you Apple trolls will hate this but it's the truth and you know it. Nowadays half bitten apple represents greed and fraud. I am also with you on this. why apple is in this. They only make 1 model per year. Nexr they will ask to put sim in gold tray. Dear RIM, Define business to us please... This is business!!! Wake up already!! Unfortunatley all manufactures have pulled stunts like this some succesful and some have been caught and exposed. Truly here Apple has been exposed and the Judging body needs to step up and do the right thing which is to clearly disqualify the parties signed up by Apple. I don not hate any company be it Apple, Google, Microsoft, Samsung, LG, Rim etc.... I am an agnostic when it comes to tech. whatever get the Job done best. However, Right is right and Wrong is wrong and here it seems Apple is doing a wrong. Sneaky but when come down bussiness there is no such thing is play nice. Man, that RDF is really taking a beating lately.